Koyaa wakes up to a new day. 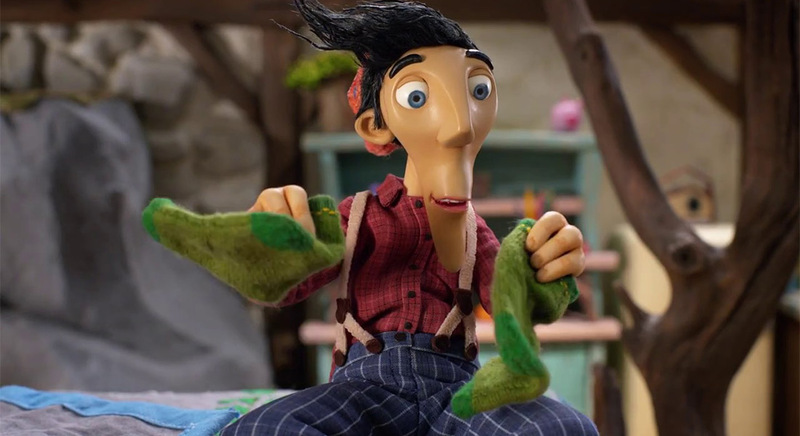 He tries putting on a warm pair of socks, but there’s a problem: they go wacky, run away and hide! Koyaa manages to catch one. Can he get the other, too? Azulejos represents Lisbon before the earthquake of 1755, a poem by Pessoa, an air guitar by Mario Trovador, a bird that flies … a poetic look at Portugal today.